Designed to minimize the need for aiming adjustments when using English, the R360 low-deflection shaft from Cuetec features a composite core surrounded by four computer cut "A Plus" grade Canadian maple sections. Black is back baby! The New Cuetec CT280 is one of the few pool cues we carry with a colored shaft. 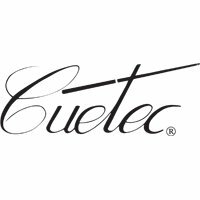 Because this pool cue has a graphite shaft, Cuetec is able to color it black, giving you a fully black cue from end to end.